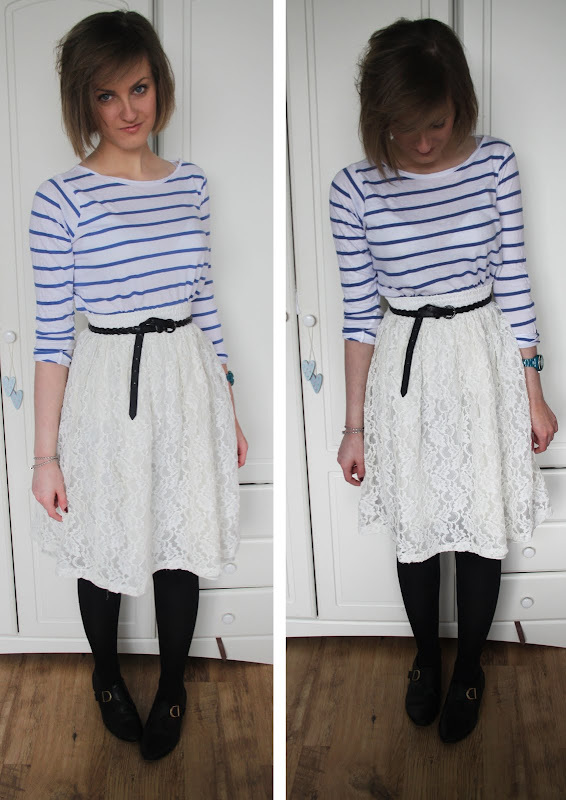 As promised, another outfit post for you showing off a couple of things I bought whilst in London. I got this skirt from Absolute Vintage for £18.00, but didn’t try it on whilst I was there as there wasn’t time. I wasn’t too sure when I first put it on, but when I tried it with my striped New Look t shirt I decided I loved it! It dresses it down enough to make it suitable for daytime, and I can’t wait for Summer to come when I can wear it with bandeau tops and tanned legs! I also decided to toughen it up a little with my faux leather biker jacket which I think works really nicely with the black tights and belt. The scarf attached to the bag was another purchase from Beyond Retro for just £3.00. I got another one which you will see when I do a haul post from the trip that is even nicer than this! I’ll be back at some point over the weekend to show you what else I bought! Love that little scarf hanging from your bag! Hope you had a good time in London… I haven't been in so long! The skirt is beautiful. Will be lovely in the summer. The scarf is very pretty too. Hi.. Noticed you follow me on Twitter ( thanks) so just wanted to say hello and check out your blog! 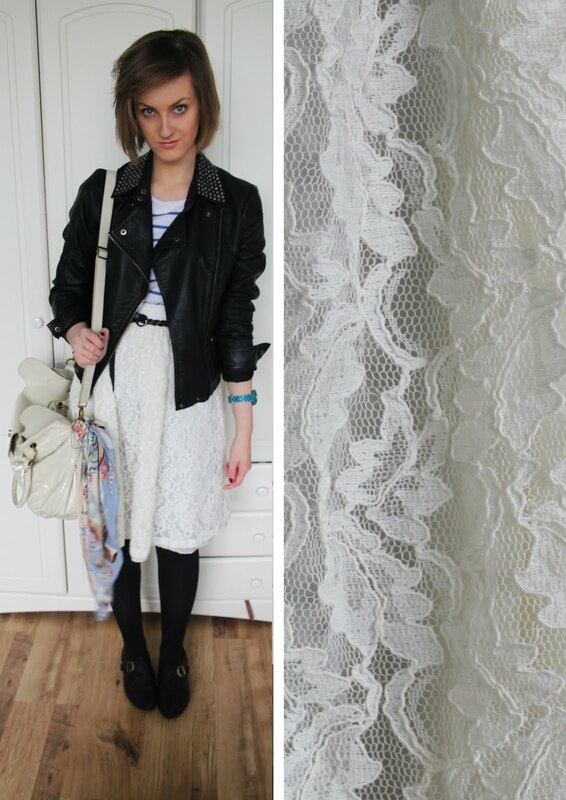 Love it, that vintage skirt is lovely and and like what you have teamed it up with!